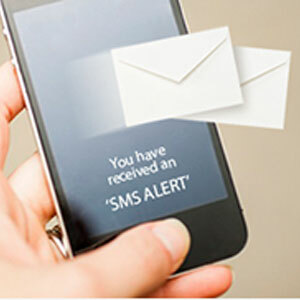 What is SMS Alerts ? Stock Alerts : Setup your own Stock alert platform to send trading tips and alerts. Bank Alerts: Banks can use this to send alert messages to their customers when they complete any transaction. Ex; Cheq Clearance, Amount Withdrawn etc. Premium Alerts: Schedule alerts for premium dates. Rent Alerts: Co-Operative societies can set up alerts for their members to pay their rent bills on time. Bill Payable: Set up auto-alert for your customers to pay their bills on time, remind them few days before bill date. Product Update: Alert your customers about new release of your product or any event. Event Alert: Alert your staff about an event that would take place. Parents Alert: Send alert messages to parents regarding performance of their students in the school or collage. Activity Alert: Alert your members about any important activity that would be taking place in your club or group. Birthday Alerts : Schedule Birthday greetings months in advance or send them today. Wedding Invites: Send Wedding invitations to your friends and families with SMS, its fast and easy. Function Invite: Send any function invite with a single click. You can even send from your Mobile with Mobile App. Death Alert: Its sad but its true and at this time SMS works best, it can help instantly alert everyone in the group. Copyright @ 2013. Moryaas Digital Pvt. Ltd. All rights reserverd.